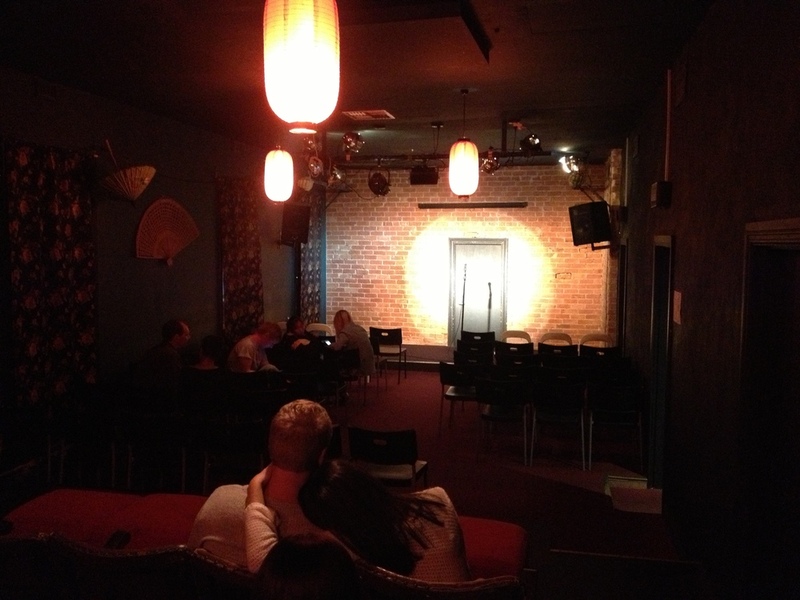 Lazy Susan's Comedy Den is located upstairs in the Brisbane Hotel and has been pleasing crowds for about eight years. If you're out and about on a Tuesday night I highly recommend dropping in for Shapiro Tuesdays; it's on every single week of the year and a $5 entry makes for a good value night out. Doors open at 8pm and the show starts at 8.30pm then wraps up somewhere between 10.30pm and 11pm. A noticeable downside is it’s not disability-friendly, as seems to be the unfortunate normality of upstairs comedy clubs. There is quite an extensive drinks range, both on tap and in bottles, prices for these are pretty standard for this kind of establishment in Perth (so that makes them expensive to the rest of the modern world). The wine list is quite impressive if you're a wine drinker, so I really enjoyed that, but the staff were super-knowledgeable about all of the drinks so if you're not sure what you want, just ask! A slight annoyance is that you can't take food inside, so arrive early and take advantage of the relaxed outside area or contemporary inside and make a night of it! Shapiro Tuesday is designed for comedians who are fairly new to the game to try out their routines, but some old pros use the audience as human guinea pigs for their new material. Despite that, you get a fairly impressive array of talent, especially for the low door price; you get about 20 comedians over the night. The room is small and cosy and really friendly but ladies - beware: the stairs to get in are incredibly steep so avoid heels and short skirts! There is no bar upstairs which made me sad but you can bring your drinks up from below and get refills during intermission. There are toilets upstairs though - and a shower (just in case). I won't give you a full play by play but in the first half I enjoyed Darren Matthews and David Tuffley who are both finalists in this year’s Melbourne Comedy Festival 'RAW' Competition, which you can catch every Thursday at the Charles hotel for $20 entry. Darren is an Irish import that was a lot of fun and kept the crowd entertained with jokes about rural Australia while David blew us away with his hilarious one-liners. David Morgan Brown's jokes about the Department of Transport and how generally crap it is were enjoyed by all; because I think we can all relate to that. The second half Callon Leam made me giggle with his hilarious Michael Jackson/PSY dance moves, but the award for best act of the night has to go to Josh Makinda. From the minute he jumped onstage to the minute he got off the entire audience was in hysterics, he was just so fun to watch; a genuinely lovely guy who also happens to be the tallest person in the world (or at least close to it). Josh is performing again at the Comedy Den this Thursday the 14th of March and next Thursday the 21st of March- GO SEE HIM! Definitely someone to watch.